Smartphones should not only be powerful but they should also attract people’s attention with their design. This is what many people think before buying a new phone. Infocus has launched 4 handsets in India. Each device is known for its excellent configuration of hardware and affordable pricing. But no one has bothered to talk about their design. It is very rear that a manufacturer will launch a device with high-end features and premium design for below Rs 12K. Things will change soon for InFocus soon as M810, its latest phone has powerful components underneath a visually stunning body. The InFocus M810 phone boasts a metallic frame (built probably with aluminum) and its back cover is made up of tough glass. It comes loaded with InLife user interface sailing over Android Lollipop operating system. The UI is expected to offer some additional features apart from the default services and utilities of the stock Android OS. M810 has a full high definition touch screen 5.5 inches display. This handset is configured with a 2500 MHz Snapdragon 801 Qualcomm processor. It uses 2600 mAh battery that seems to be insufficient to power M810 for more than 8 hours. Just like the Infocus M530, M810 flaunts cameras with Sony Exmor R series sensors. A 13.0 MP sensor is placed in the rear camera and a true tone flash system is fitted below it. Apple uses similar flash technology in their iPhones. Anyways, this phone includes a 5.0 megapixels front camera and there’s 2GB LPDDR3 RAM in it. It has MicroSD reader that supports up to 64GB capacity cards. It packs with 16GB ROM along with 6.9 millimeters thick body. 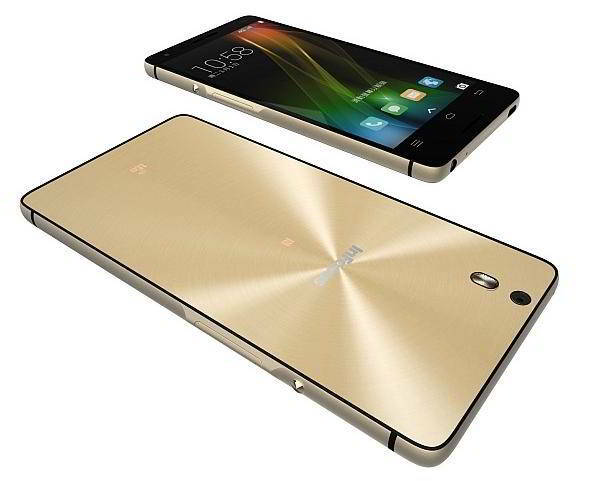 The weight of Infocus M810 is around 157 grams. Other highlighting and important features of this phone are 4G-LTE connectivity options, 5 sensors, OTG – MicroUSB support and FM Radio. This phone will retail on Amazon.in for 14999 Rs. Its launch date has been set for Wednesday 15th of July 2015. Xiaomi Mi4i, Asus Zenfone 2 and the recently introduced Xolo Black will be in competition with the InFocus M810 as they carry a price tag within Rupees 12000 to 15000. Xiaomi has organized an event on 16th of July this month. Will it introduce a new phone in the same range? Stay tuned as we’ll keep sharing more updates on your favorite brands.